RIVERSIDE, Calif. — A team of astronomers led by George Becker at the University of California, Riverside, has made a surprising discovery: 12.5 billion years ago, the most opaque place in the universe contained relatively little matter. 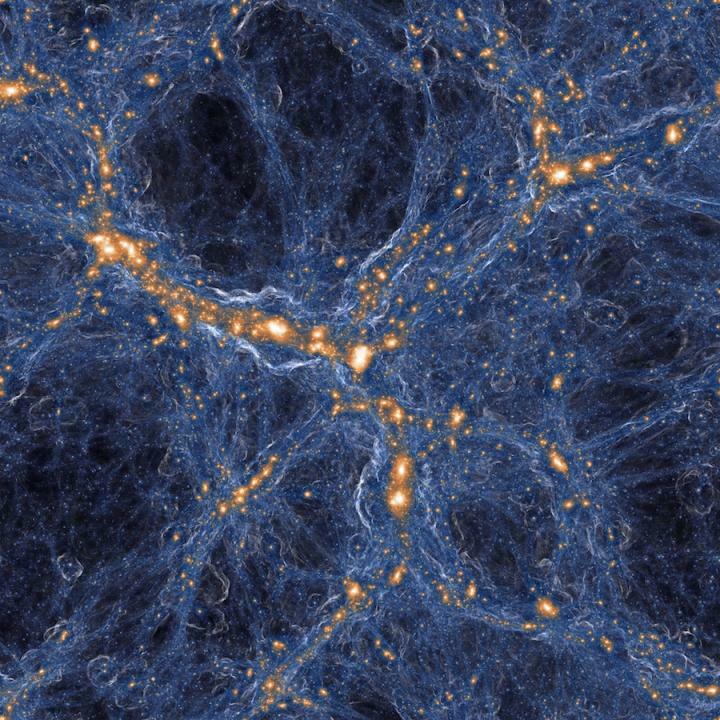 It has long been known that the universe is filled with a web-like network of dark matter and gas. This "cosmic web" accounts for most of the matter in the universe, whereas galaxies like our own Milky Way make up only a small fraction. Today, the gas between galaxies is almost totally transparent because it is kept ionized– electrons detached from their atoms–by an energetic bath of ultraviolet radiation. "Today, we live in a fairly homogeneous universe," said Becker, an expert on the intergalactic medium, which includes dark matter and the gas that permeates the space between galaxies. "If you look in any direction you find, on average, roughly the same number of galaxies and similar properties for the gas between galaxies, the so-called intergalactic gas. At that early time, however, the gas in deep space looked very different from one region of the universe to another." "Normally it doesn't matter how many galaxies are nearby; the ultraviolet light that keeps the gas in deep space transparent often comes from galaxies that are extremely far away. That's true for most of cosmic history, anyway," said Becker, an assistant professor in the Department of Physics and Astronomy. "At this very early time, it looks like the UV light can't travel very far, and so a patch of the universe with few galaxies in it will look much darker than one with plenty of galaxies around." "There is still a lot we don't know about when the first galaxies formed and how they altered their surroundings," Becker said.